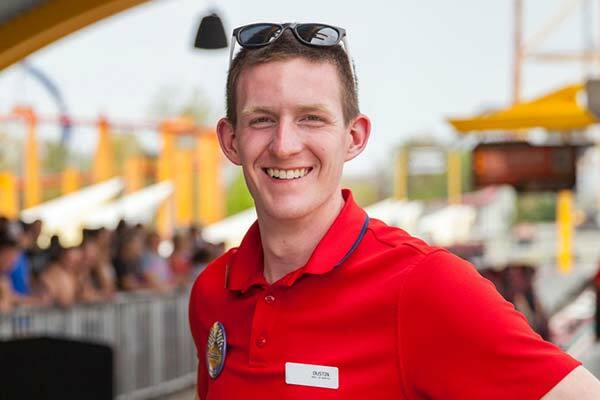 As the 2017 summer season winds down, it’s time to take a look at what the future holds for the park! 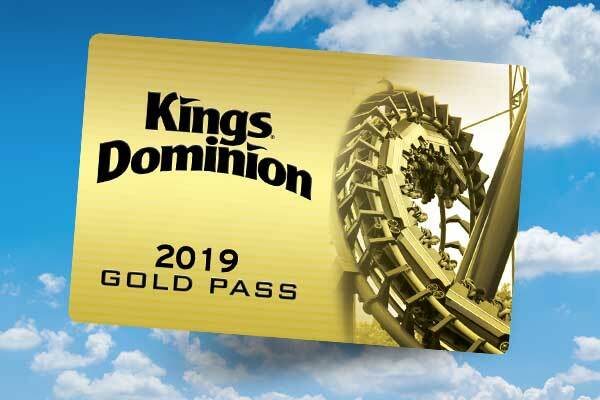 If you missed our announcement on August 16, it’s safe to say 2018 is going to be a BIG year at Kings Dominion. 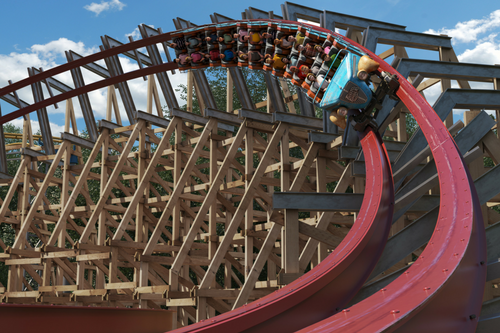 Next spring you will be able to take a ride on a brand new roller coaster, Twisted Timbers! The coaster sits on the edge of Candy Apple Grove near WindSeeker and takes you on a tour through the abandoned Hanover Hills apple orchard. The orchard has been strictly “off-limits” since 1950 after an unknown force tore through the trees, destroying the harvest and freezing the area in time. Now, after over 65 years of sitting empty, Hanover Hills has reopened for tours. 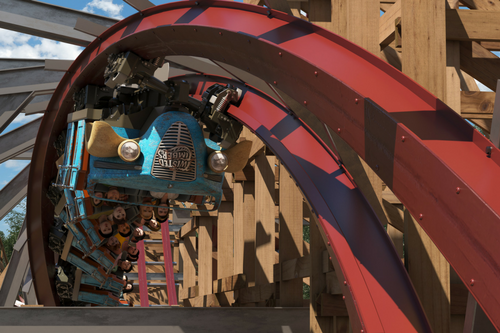 The coaster will feature 3 inversions, including a 109 foot tall barrel roll drop. 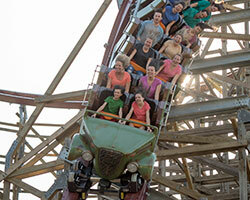 You’ll want to hold on tight, as there’s a total of 20 airtime moments along its 3,351 feet of track. 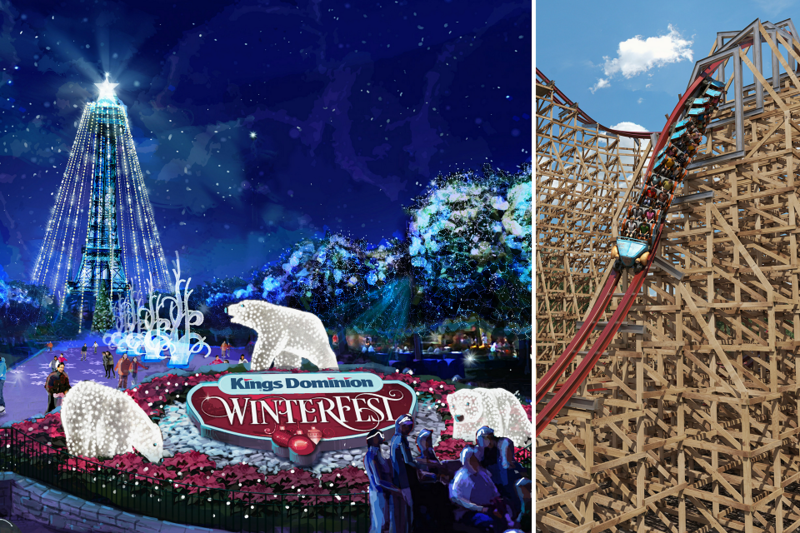 Twisted Timbers isn’t the only reason to be excited for 2018, we’re also making the most wonderful time of the year even better with WinterFest! For the first time ever, Kings Dominion will be open for the holiday season. 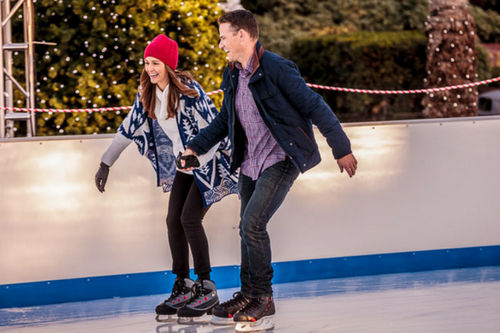 We’re transforming the park into a winter wonderland featuring millions of lights, ice-skating, new shows, delicious food, and plenty of Christmas trees. 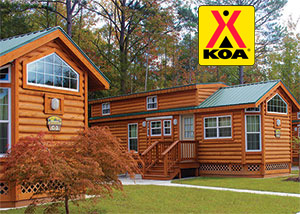 We’ll start off each night with a tree lighting ceremony. We’ll also be transforming the Eiffel Tower into our very own 300-foot Christmas tree. Where better to take in the sights of the tower than from the surface of the International Street Fountains? That’s right, we’re turning the 320-foot-long fountain into an ice skating rink. You’ll also be able to explore multiple uniquely themed areas throughout the park. Keep an eye out for familiar faces as Santa, Mrs. Clause, Jack Frost and the Sugar Plum Fairy make appearances throughout the park. 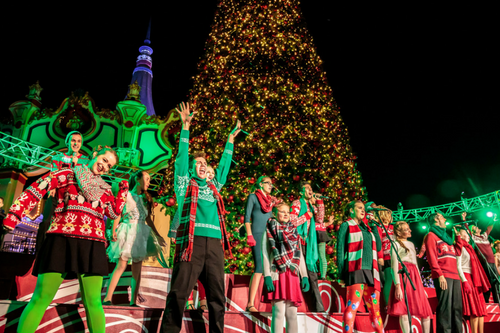 They’ll also be more than a dozen new shows like Cool Yule Christmas, Jingle Jazz, and a special production of Snoopy’s Ice Show. WinterFest has all the ingredients you could need to make a new family tradition! 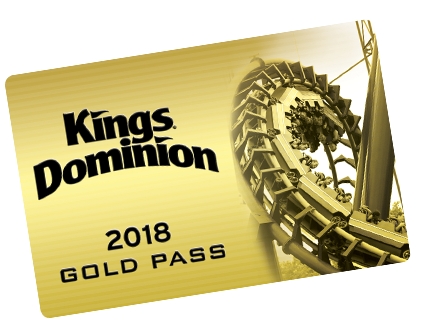 If you’re anything like me and you can’t wait until the fun starts next year, why not pick up your 2018 Gold Season Pass today? Your gold pass will be your ticket to four seasons of fun next year including, Haunt and WinterFest. We’ve also brought back our Pre-K Pass that provides children between three and five years old free admission all season long! 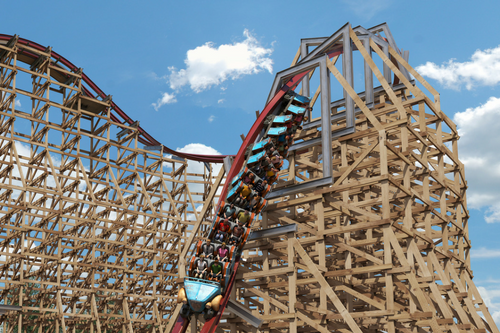 Can’t wait to see you next year in line for Twisted Timbers!